Overland Park is the second biggest city in Kansas, with a population of roughly 185,000. Located on the northern edge of the Osage Plains just south of the Kansas River, this city is a suburb of Kansas City and part of the Kansas City metropolitan area. Overland Park is a busy commercial and industrial hub for the surrounding Johnson County area, with the local economy consisting of a strong service sector. Overland Park and Kansas residents face a number of problems with drug abuse and addiction, including alcoholism, opioid abuse, heroin addiction, and marijuana abuse. While there has been a recent crackdown on prescription opioid abuse and illegal opioid “pill mills”, the opioid epidemic currently sweeping across the United States is still having an adverse effect on the ground. If you or anyone you know in Overland Park is struggling with any kind of substance use disorder, it’s important to reach out to a specialized treatment center as soon as possible. If you live in Overland Park, and have fallen victim to substance abuse don’t hesitate to seek treatment. There are enormous resources in at your disposal. According to official figures from the United States Census Bureau, Overland Park has a total area of 75.37 square miles. There were 173,372 individual residents, 71,443 households, and 45,516 families residing in the city according to the latest 2010 census, with cost of living and income rates both below the national average. Like many cities in Kansas, Overland Park has a mostly White racial profile at 84.4 percent, with other races including 4.3 percent African American, 6.3 percent Asian, 0.3 percent American Indian, 2.1 percent from other races, and 2.5 percent from two races or more. Latinos and Hispanics of any race accounted for 6.3 percent of the Overland Park population. The median income in the city is relatively high, with household income being $71,513 and family income being $93,293. This means that just 4.9 percent of residents and 3.3 percent of families were living below the poverty line according to census statistics. While poverty does affect substance abuse and addiction treatment statistics, prescription opioid abuse and other substance abuse rates are also high in many affluent areas. The crime rate in Overland Park is not particularly high, with a crime index of 42 recorded in Neighborhood Scout. This means the city is safer than 42 percent of American cities, with a violent crime rate of 2.00 per 1,000 residents and a property crime rate of 14.90 per 1,000 residents. This is much lower than the Kansas state and national averages, which are 3.8 and 4.00 and 26.96 and 25.00 respectively. Like many Kansas communities, Overland Park faces a number of substance abuse and addiction issues. Opioids are a significant problem, including heroin and prescription painkillers such as oxycodone and hydrocodone. 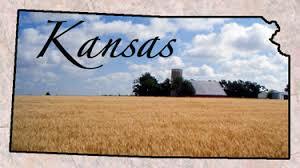 There were 146 opioid related overdose deaths in Kansas in 2016, a rate of 5.1 deaths per 100,000 people. While this is much lower than the national rate of 13.3 deaths per 100,000 people, it is still a worrying statistic. A recent prescription drug take back event at Overland Park highlights the ongoing opioid problem that police and health-care services are dealing with on a daily basis. Overland Park police have taken back more than 14,000 pounds of drugs since 2011, as community members try to deal with the ongoing opioid epidemic that is sweeping across the United States. Heroin is also a significant problem in some Kansas communities, with Overland Park and other areas also struggling with cocaine, marijuana, and methamphetamine among other substances. Drug abuse is a substance-related disorder that involves the problematic and ongoing consumption of psychoactive substances. Alternate definitions of drug abuse are used according to the context, including the medical definition, the criminal justice definition, and the public health definition. People abuse a wide spectrum of psychoactive substances, including the legal drugs alcohol and nicotine, a range of prescription medications, and street drugs such as methamphetamine and heroin. People who abuse drugs for an extended period of time often develop dependence and addiction, with physical and psychological dependence both possible. A wide range of adverse health and social effects have been associated with drug abuse, including increased crime rates, increased health care costs, and overdose deaths. Treatment for drug abuse depends greatly on the substance and extent of abuse, with some psychoactive substances requiring extensive medication therapy and other treated through psychotherapy measures alone. If you know anyone in Overland Park or Kansas who is struggling with drug abuse or any kind of substance use disorder, it’s important to reach out to a treatment center as soon as possible. Drug dependence is different than drug abuse, with dependence recognized upon the identification of specific withdrawal symptoms. While some people are able to abuse substances for years without becoming dependent on them, others may develop a dependency almost overnight. The difference between cases depends on many things, including the psychology of the person, the drug in question, the extent of abuse, and the history of abuse among other factors. There are two types of drug dependence: physical dependence, and psychological dependence. Physical drug dependence is recognized by the existence of a physical-somatic withdrawal syndrome upon drug discontinuation. Possible symptoms include headaches, nausea, cramps, aches and pains, seizures, hallucinations, and delirium tremens. The severity of symptoms depends on the substance and extent of abuse, with symptoms ranging from relatively mild through to life-threatening. Drugs that are known to cause physical dependence include alcohol, heroin, morphine, oxycodone, hydrocodone, fentanyl, Valium, Xanax, Klonopin and many others. All of these substances are central nervous system (CNS) depressants. Physical dependence is typically accompanied by psychological effects. Psychological drug dependence is recognized by the existence of an emotional-motivational withdrawal syndrome. Common symptoms include mood swings, drug cravings, lack of motivation, depression, anxiety, and emotional distress. While these symptoms are not normally life-threatening, they can lead to mental health issues and need to be treated accordingly. Drugs that are recognized for causing psychological dependence include MDMA, methamphetamine, cocaine, and marijuana among others. There is a third class of drugs called hallucinogens that are not thought to cause dependence in any way, including substances such as LSD and peyote. While these substances can still be dangerous when abused, normal treatment methods can not necessarily be applied. People abuse, misuse, and over-use a wide range of psychoactive substances. Commonly abused legal substances include alcohol and nicotine. Commonly abused illegal drugs include marijuana, cocaine, crack cocaine, heroin, speed, methamphetamine, MDMA, LSD, PCP and many others. Commonly abused prescription drug classes include opioid painkillers, sedatives, and stimulants. Opioid abuse involves drugs such as hydrocodone, oxycodone, codeine, morphine, fentanyl, methadone and many others. Sedative abuse involves drugs such as Xanax, Klonopin, Valium, and barbiturates. Stimulant abuse involves the ADHD drugs Adderall and Ritalin among others. Different substances require different levels of treatment, with some drug problems needing extensive medical detox and pharmacotherapy treatment and others treated through psychotherapy measures alone. It is the type of substance in question and not its legal status that defines treatment protocols. Most problematic substances can be classified as either central nervous system (CNS) depressants or CNS stimulants. CNS depressants include the legal drug alcohol, the illegal drug heroin, and the prescription medications morphine and oxycodone among others. Despite their different legal status, these substances have lots of things in common when it comes to their action and treatment. CNS stimulants include methamphetamine, cocaine, Adderall, and Ritalin among others. Before enrolling people in a drug rehab program, clinicians will attempt to assess each patient according to his or her immediate needs. A risk assessment is carried out before treatment takes place, including detailed physical and psychological examinations. Factors that may impede or alter the treatment process include the drug in question, the extent of abuse, the history of abuse, the existence of physical or psychological withdrawal symptoms, and any external lifestyle factors that could influence treatment. While different treatment centers will look at different things, these factors may include homelessness, financial situation, dependent children, criminal justice issues, domestic and family violence issues, mental health issues, behavioral addiction, and any other co-occurring disorders. Once a thorough screening has taken place, the patient will be directed towards an appropriate detox or rehab treatment program. Detox is the first stage of drug treatment for many people, especially for those who are experiencing or likely to experience physical-somatic withdrawal symptoms. Detox should involve a three stage process according to the National Institute on Drug Abuse (NIDA): early evaluation, medication and stabilization, and helping patients into further treatment. The first stage of detox involves a number of physical and mental tests prior to medication. This is important because it helps doctors to avoid dangerous drug interactions. For example, blood tests are typically carried out to check for currently circulating substances, with CNS depressants likely to impede the detox process and possibly endanger the patient. Evaluation may also include a mental health examination, a general medical check-up, and any other tests that the treatment center thinks are necessary. The second stage of detox attempts to stabilize the patient through the use of medication. While it is possible to stabilize the patient through drug discontinuation alone, rapid and other “cold turkey” methods can be dangerous and are rarely advised. In most cases, CNS depressants such as methadone and buprenorphine are used to help reduce the severity of dangerous withdrawal symptoms. Benzodiazepines such as Valium and Xanax may also be prescribed in some situations. Certain withdrawal symptoms can be dangerous and even life-threatening when they are not managed properly, which is why it’s so important for people to access proper medical detox services. The third and final stage of detox involves a detailed consultation procedure that attempts to guide the patient into further treatment. While detox is critical to successful drug withdrawal, rehabilitation is also needed to treat the social and emotional aspects of drug addiction. Also known as residential rehab, inpatient rehab involves a live-in arrangement for the duration of treatment. Inpatient programs can last anywhere from a couple of weeks to a few months, with some programs available in remote locations for a full six month period. Residential treatment centers (RTC) offer the most comprehensive level of care, including 24/7 access to medications and medical support staff, pharmacotherapy if needed, cognitive-behavioral therapy, and innovative new treatment options such as meditation and mindfulness. These rehab programs are recommended for people with extensive drug problems, people who need to access medications after the completion of detox, and anyone who thinks they will benefit from an isolated and immersive treatment environment. Partial hospitalization (PHP) is the next level of treatment, with these programs involving a live-in arrangement during the week for a maximum of five nights. Because PHP enables patients to return home on the weekends, they can still connect with family and friends members. However, this may lead to relapse in some cases, which is why this kind of treatment is not advised for everyone. Despite being a form of outpatient care, intensive outpatient programs (IOP) are often listed together with residential services due to their intensive structure. IOP programs provide treatment on a full-time basis during the day. while allowing the patient to return home in the evenings. This can be a great option for people with kids or anyone who wants to remain connected with their everyday responsibilities. Outpatient rehab is a great option for many people, with this level of treatment more flexible and more affordable than inpatient programs. Outpatient rehab is available in Overland Park and across the state of Kansas, with different facilities using different treatment structures and therapy options. For example, some rehab centers adhere to the disease model of addiction and others adhere to the free will model of addiction. This can dramatically influence the treatment provided, especially when conventional 12-step systems are involved. Common treatment paradigms utilized during outpatient rehab include client-centered counseling, group counseling, motivational interviewing, contingency management, cognitive-behavioral therapy, family therapy, relapse prevention and many others. During rehabilitation, individual treatments come in the form of pharmacotherapy and psychotherapy. Also known as medication therapy, pharmacotherapy programs administer various medications to help promote long-term abstinence and recovery. Opiate replacement therapy is the most famous example of this therapy, with alcoholics and sedative addicts also needing long-term medication support in some cases. Despite the importance of medication therapy when needed, most rehab centers specialize in psychotherapy programs based on motivational, cognitive, and behavioral methods. While these programs all look at addiction from their own unique angle, they all attempt to help the patient by dealing with the psychological precedents of drug addiction. Cognitive-behavioral therapy forms the basis of this approach in many cases, with patients learning how to recognize the emotional and cognitive distortions that can lead to problematic behavior patterns. Opiate replacement therapy is sometimes administered to long-term heroin and opioid addicts in addiction to psychotherapy. While this form of treatment does nothing to address the underlying problems of drug addiction, it can be an incredibly effective form of harm reduction and lifestyle management. During a typical program, the patient will receive buprenorphine or methadone as a replacement for heroin, enabling them to avoid the crime, disease, and social problems that often result from heroin use. While this form of therapy has been criticized for enabling secondary addictions, it can help people to access ongoing psychotherapeutic support in some cases. Opiate replacement therapy is not available in all states, with different laws affecting how and where replacement medications can be administered. While there are also laws that enforce a limited time period for people on opiate replacement programs in some countries, this does not apply in the United States. According to the National Evaluation of Pharmacotherapies for Opioid Dependence (NEPOD), 40–65 percent of patients who receive this form of treatment are able to maintain complete abstinence from heroin and other problematic opioids, with 70–95 percent are able to reduce their consumption considerably. If you need to access opiate replacement therapy or any form of ongoing pharmacotherapy, it’s important to find a specialized drug rehab center. Relapse is an extremely common outcome of drug addiction, with roughly half of all treatment patients going back to their old ways according to the National Institute on Drug Abuse (NIDA). In order to reduce relapse rates and ensure life-long recovery, clinicians need to implement dedicated relapse prevention techniques and systems. During a typical relapse prevention program, patients will learn how to identify potential triggers, avoid high risk situations, and develop the coping skills they need to live a long and happy life. While this can be accomplished in many ways, cognitive and behavioral methods are generally used to help people recognize internal problems before they lead to unwanted impulsive and compulsive actions. Meditation and mindfulness can play a crucial role in this process. Relapse typically takes place in three separate stages: emotional relapse, mental relapse, and physical relapse. Therapists can help people to recognize the symptoms associated with each stage before they progress to an actual relapse event. Common signs of emotional relapse include frustration, anger, sadness, isolation, anxiety, depression, and mood swings. Common signs of mental relapse include thinking about relapse, romanticizing drug use, and planning relapse events. Physical relapse describes the actual event that leads to a breakdown of the recovery process, with additional interventions now needed to re-engage the patient and get them to accept help. Aftercare, also known as continuing care, describes all treatment programs that take place after the completion of residential or outpatient rehab. Aftercare programs are crucial in reducing relapse rates and promoting long-term recovery, with some people attending treatment sessions for months, years, or even indefinitely. Common aftercare programs include 12-step support groups such as Narcotics Anonymous (NA) and Alcoholics Anonymous (AA), SMART Recovery, family therapy, and individual counseling. While most aftercare programs try to help people with the psychological aspects of recovery, some are designed to help with practical things like accommodation, job placement, education, and legal aid. Sober living environments (SLEs) provide a specific aftercare service that helps people to access affordable accommodation while they make the difficult transition from treatment back to everyday life. These centers typically operate under a strict set of rules, with house guests needing to remain sober at all times, be tested for drugs and alcohol, and engage with treatment programs while staying at the center. If you or anyone you know is living with a substance use disorder, it’s important to find help as soon as you can.